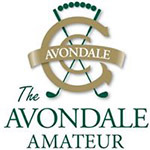 After one round at the Avondale Amateur, the top of the leaderboard is decidedly Australian. In fact, 17 of the top 20 names are “local” players, led by Jye Pickin in first. Pickin had a 5-under 66 on Tuesday at Avondale Golf Club in Pymble, Australia and built an early one-shot lead on three compatriots close on his tail. Thomas Heaton, Aiden Didone and Andre Lautee all had 67. Lautee won the Victorian Amateur at the end of 2018 and was T-4 at the Master of the Amateurs earlier this month. He was also the only one of the three players at 67 to get to his number without a single bogey. Lochie Coleborn and Liam Georgiadis are tied for fifth at 3-under 68. Five players are at 2-under 69, including two notables who have made plenty of recent amateur headlines. Two of them appeared in the quarterfinals at last week’s New South Wales Amateur – Jediah Morgan and Nathan Barbieri. The latter player, of course advanced all the way to the final. Barbieri also played the final match at the Australian Amateur the week before that. Blake Collyer, the 2018 Dunes Medal winner, also had 69. A nine-man tie for 12th at 1 under includes Blake Windred, a quarterfinalist at the Australian Amateur and top-3 finisher at the Master of the Amateurs. Top international players include Finland’s Ilari Saulo and Indonesia’s Naraajie Emerald Ramadhanputra, both part of the jam at 1-under 70. Callum Farr from the United Kingdom is also on that number.